Uh oh, your graduate school application package is due soon so you can start the upcoming semester and you need to study for the MAT in one month! Don’t panic, here are some study tips you can follow even if you are swamped from the rest of your life. Don’t try to reinvent the wheel, use tried and true study techniques that you already have used in your academic career. 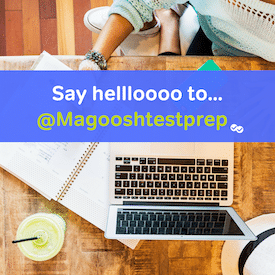 Collaborate–talk to others who have taken the MAT and ask about the format of the test, the testing environment and their general impression of the process. Flashcards–even if they seem a little trite, use flashcards to improve your vocabulary recognition and speed. You don’t even have to make your own, take a look at this post to find links to a free flashcard maker. Vocabulary lists–even reading a vocabulary list with definitions and sentences will get your mind in the mode of analytical thinking and can help with recall. Library–when in doubt, go to the library (I mean, Hermione Granger can’t be wrong). If you are still enrolled in school for your undergraduate degree, go to your university library. If you are not affiliated with a school currently, visit your local public library. If they don’t have a print copy of a study guide, they will most certainly have an online tool available for patrons. One of the best things you can do is physically write down what you want to accomplish and by when. Whatever format you use; planner, online calendar, sticky notes on the bathroom mirror, make sure you write down the most important things you need to study and give yourself a timeline. Make reading your hobby. Any downtime you have can be used to read at least a few lines of a relevant book. Bathroom breaks, waiting in the parking lot, waiting in lines–it only takes a few minutes to absorb information from an interesting book. I would advise trying a nonfiction book in an area that interests you; ask a librarian for choices that are more intellectual in nature to keep you at the peak of your cognitive processes. As the end of the month approaches, make sure you are prepared for test day and be ready for this next step in your academic journey. I Hate Miller Analogies. Help!